Buffalo Chicken Stuffed Sweet Potatoes with spicy buffalo chicken and delicious sweet potatoes all cooked in single crock pot. Fill your cooked sweet potato with chicken and add a dollop of sour cream. Dinner does not get much easier than this. Wrap up your sweet potatoes in foil, toss chicken in a slow cooker bag with buffalo sauce, cream cheese and a ranch seasoning packet. Place foil wrapped potatoes and buffalo chicken bag into crock pot and let cook for 6 to 8 hours. These are the type of meals I love feeding my family. The stress free, affordable and so simple types. Great for a weeknight meal or a weekend game day meal while everyone is hanging out watching football. 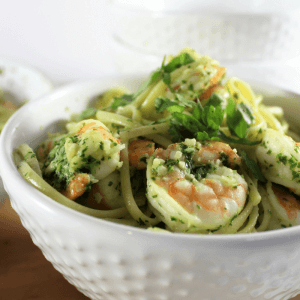 You can also cook this meal for a crowd! You will need two crockpots and bake the potatoes in the oven. Buffalo chicken ingredients can go into one crockpot while the potatoes are wrapped in foil and placed in another. What do you think? Can you see yourself making this Buffalo Chicken Stuffed Sweet Potatoes recipe for your own friends and family to enjoy the perfect mix of sweet and spicy? Gather ingredients, crock-pot bag, crock-pot, foil. 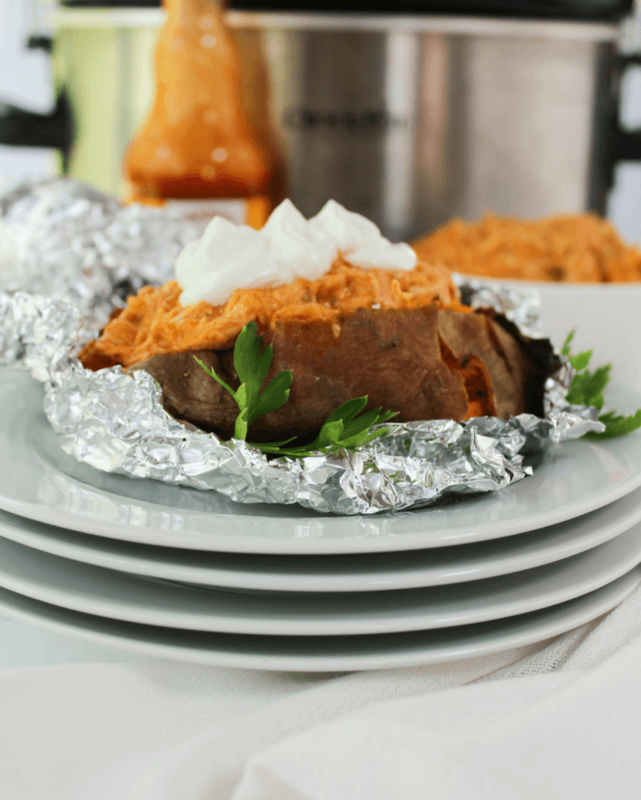 Wash sweet potatoes well and wrap in foil individually. Place into crock-pot to one side. In the crock-pot bag, place chicken, Ranch packet seasoning, buffalo sauce and 8 ounces of cream cheese. Place bag to the other side of crock-pot. Cook on low heat 6-8 hours. Remove potatoes and unwrap from foil. slice down middle to open up. Place the shredded buffalo chicken in the potatoes. Add a dollop of sour cream and enjoy!